Signal Deluxe is the Mexican duo formed by Valeria Rueda aka Lila D. and Jerga, 2 active members of the mexican underground for the past 2 decades under many different aliases and diverse projects, in 2005 they met behind the decks and started djing together and playing out as Signal Deluxe, doing a couple of European tours and playing all over Mexican territory. In 2007 they started releasing their music on labels from around the globe like Trenton, Freizeitglauben, Adjunct, Revolver, Persona, Kina and many more of their favorite labels. in the year 2008 together with partner in crime Indigo they started Blaq Records a Mexican label focusing on different styles within electronic music, always with a strict love for darkness and obscure sounds. Always sticking to their underground guns and always experimenting with different styles and moods Signal Deluxe is a project that embraces art as a way of life! 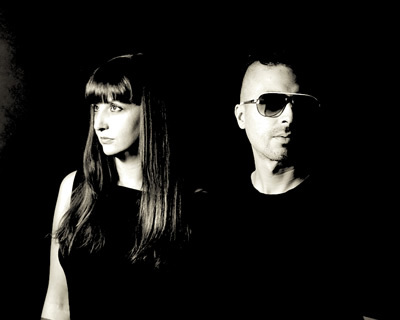 In their past histories both Valeria & Jerga have experimented in Punk and industrial bands in the 80’s and early 90’s living in cities like Montreal, Los Angeles, Palma de Mallorca and Berlin playing in many experimental and alternative stages around the world. Their dj sets are best for long sessions going through many eras and styles always with a touch of darkness yet filled with funk, you can hear the influence of many different genres and still find a unique sound as a final result. Their live sessions are as versatile as their discography having the possibility to go from – house / techno – ish grooves to a more sophisticated – future garage / post dubstep – adventure in sound.